Sometimes you don't need to carry with a big bag, sometimes you only need to ride and carry few things: mobile phone, keychain, basic tools, lock, bike lights, wallet, sunglasses... and you only need to use a pouch! Well, today we will review a product of the brand North St. Bags, the fantastic Roll-Top Hip Pouch! This sleek, stealthy pouch provides easy access to your essentials, whether you're on the road, on the trail or on the prowl. It's unique roll-top closure seals up tight against the elements, or stows easily in flap-down mode. 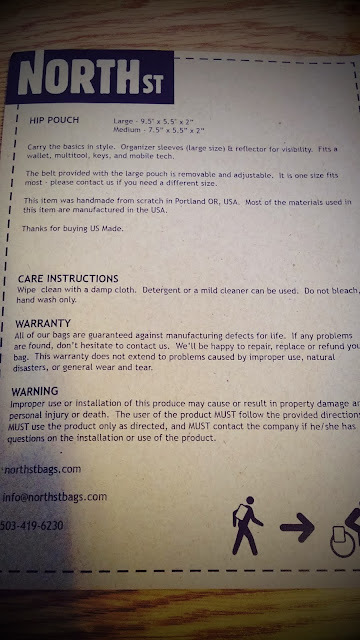 North St.'s Roll-Top Hip Pouch was originally designed as a courier pouch for Portland Pedal Power. They liked it so much they decided to launch it as a regular item. 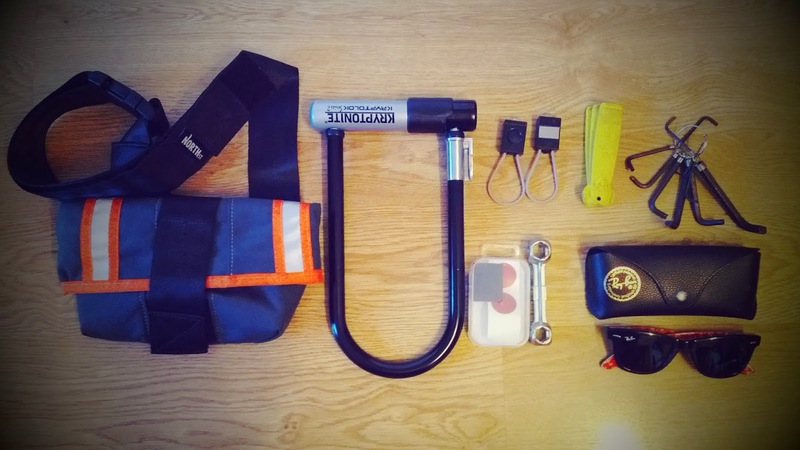 Well, we have tested this product filling it with a lot of daily products: a kriptonite lock, sunglasses, basic tools to repair the bike in case of problems, keychains... a lot! And there was still space for more! Roll-Top Hip Pouch by Norh St. Bags Review. 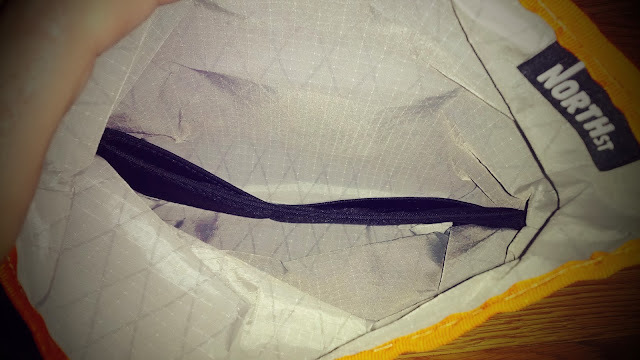 Inside the pouch. 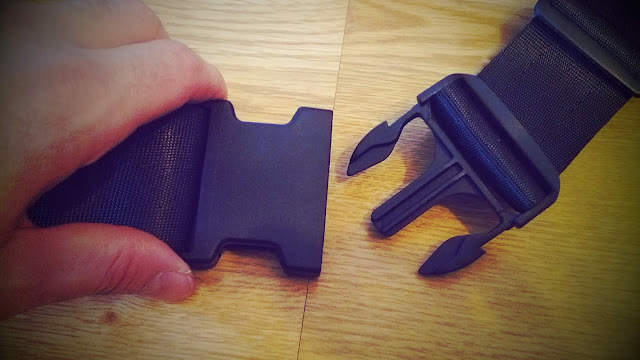 The products used in this pouch seem really good quality, strong belt, easy to adjust and readjust if you carry high weight things like your lock. 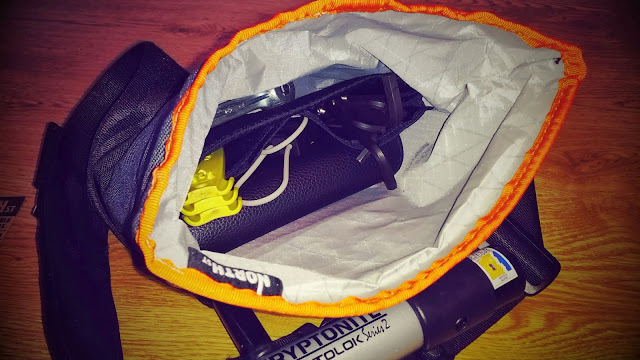 It's waterproof and the roll top closure it's great when you are riding and you need to access to your things inside with one hand only, that's great to keep your safe while you ride. The Roll-Top Hip Pouch comes with reflectors, as you know we use to ride wearing this pouch in the back side and it's perfect to reflect the car light's. 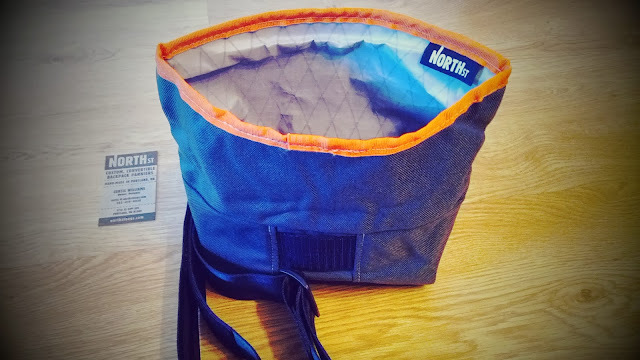 Roll-Top Hip Pouch by Norh St. Bags Review. Reflective parts. 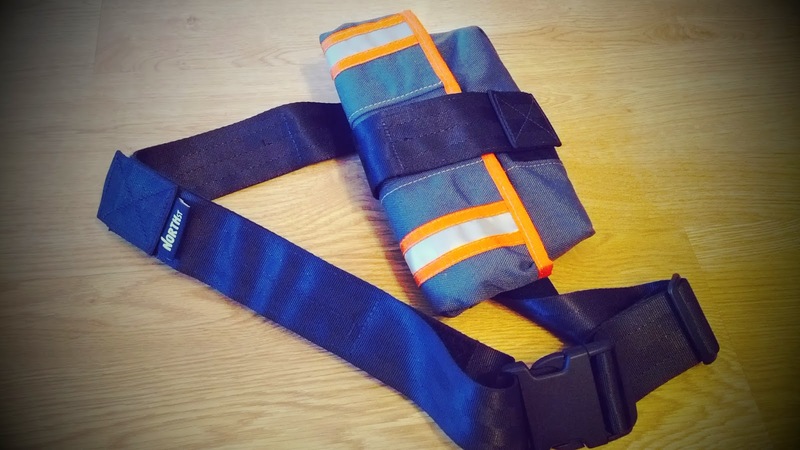 Roll-Top Hip Pouch by Norh St. Bags Review. Back side. Roll-Top Hip Pouch by Norh St. Bags Review. Back side open to adjust to your lock. 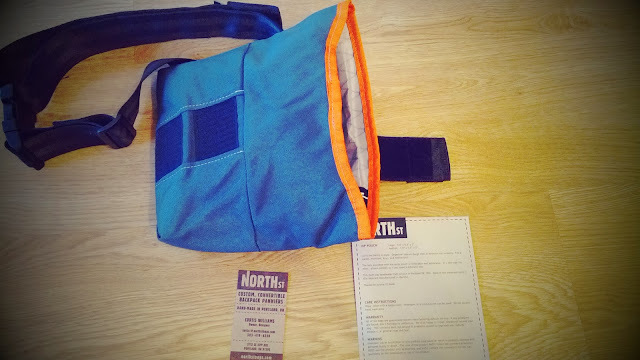 Roll-Top Hip Pouch by Norh St. Bags Review. Open. 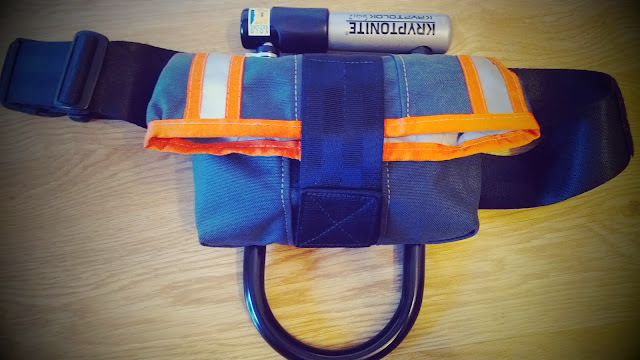 Roll-Top Hip Pouch by Norh St. Bags Review. Care instructions, warranty and warning. 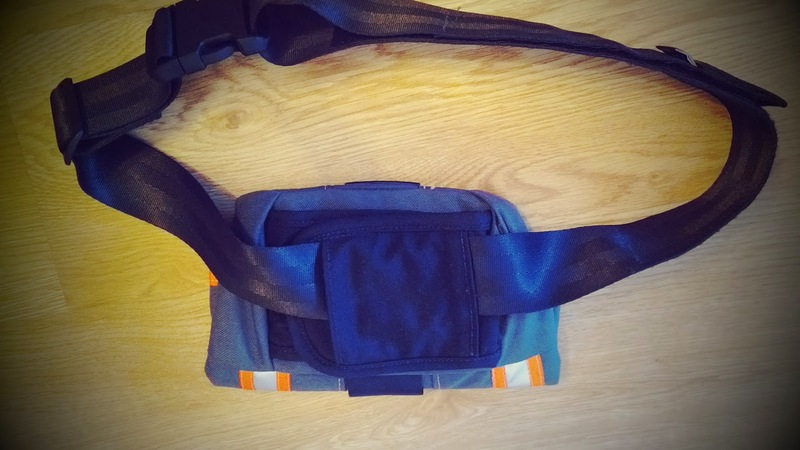 Roll-Top Hip Pouch by Norh St. Bags Review. Inside in semi reflective colour helps you to search and clean. 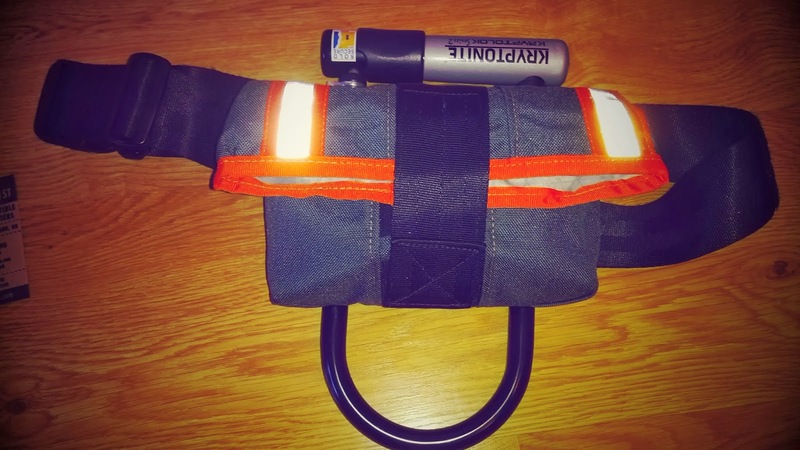 Roll-Top Hip Pouch by Norh St. Bags Review. Plenty of daily things. 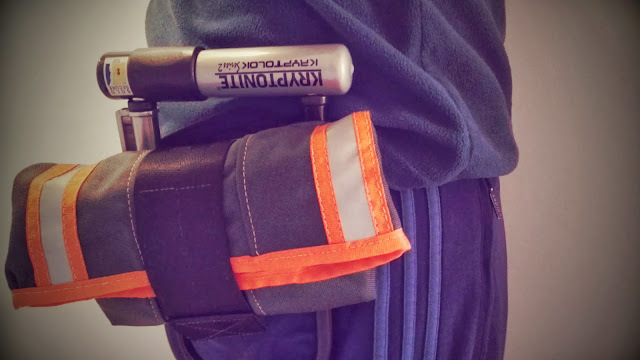 Roll-Top Hip Pouch by Norh St. Bags Review. Plenty of daily things back side. 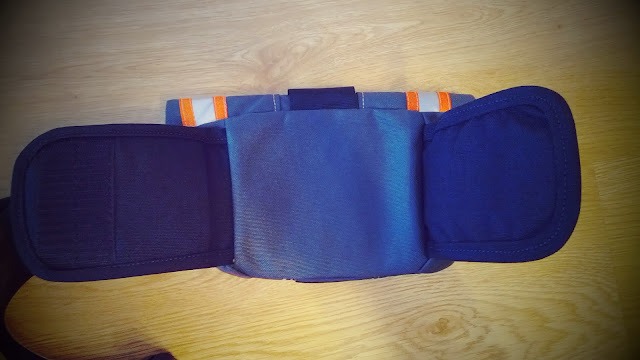 Roll-Top Hip Pouch by Norh St. Bags Review. Wearing. 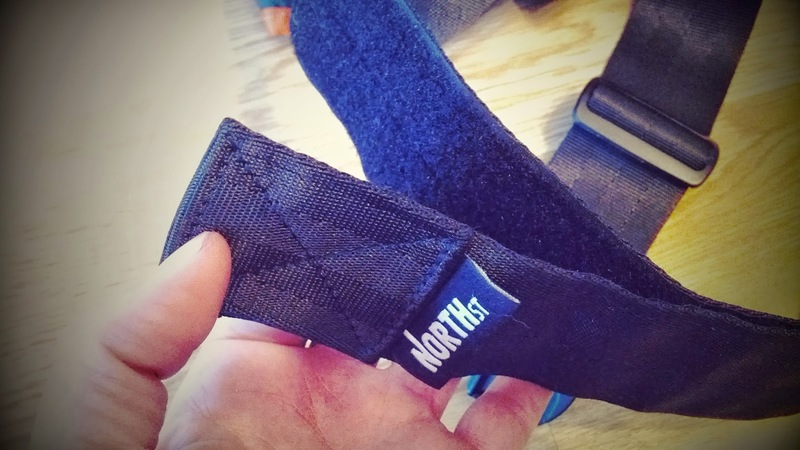 Roll-Top Hip Pouch by Norh St. Bags Review. 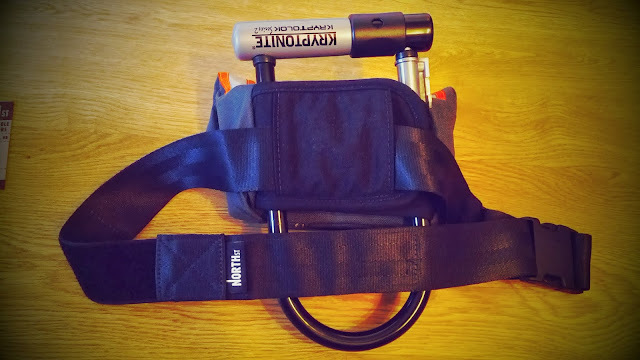 Roll-Top Hip Pouch by Norh St. Bags Review. Easy to readjust. The success of North St. Bags’ founder/designer, Curtis Williams, didn’t arise out of thin air. His experience as a theater designer and passion for bicycling would lead to innovative product design people can live with. Since 2009, his convertible lifestyle solutions have made commuting extra easy with sensible designs that don’t sacrifice functionality, but are enhanced by it. North St. Bags reliably hold up to weather, travel, work and all the other rigors, both on and off the bike. The story began several years prior in Berkeley, CA when Curtis volunteered at a non-profit bike, sewing and woodworking shop. Dissatisfied with the current cycling packs on the market and the dreaded back pains from his messenger bag, he set off to develop his own — the initial backpack pannier design of the Woodward Convertible. 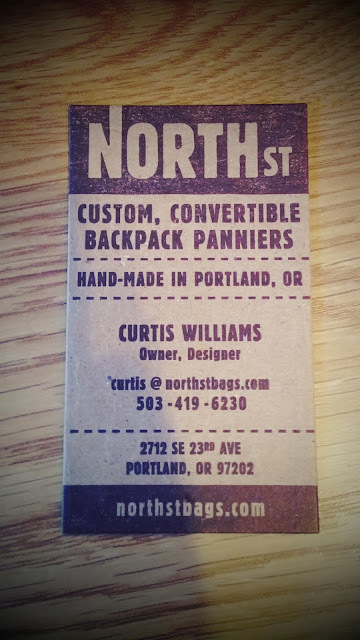 After making several bags for friends and rediscovering the simple joy of handcrafting, Curtis got hooked and North St. Bags was born. North St. Bags is aptly titled after the street Curtis grew up on in Montpelier, VT; and each product line is named after a street of significance from his life and travels. In October of 2009, Curtis would discover some new streets after moving to Portland, OR and setting up shop in the basement of his first home on Woodward Avenue. Using a Juki sewing machine (found on craigslist for $200 and still in use today), he launched northstbags.com and began sewing custom bags for friends and customers around town. Today, the company operates 10 sewing machines and ships bags worldwide through www.northstbags.com and a growing clientele of retailers. All of their products are handmade in their micro-factory in SE Portland. The North St. Bags showroom is open to the public – So feel free to stop by and say hello! And, thanks for shopping U.S. Made!